The kinder cake stall at the Flemington Farmer’s Market on Sunday 31 May was a huge success. We had an overwhelming contribution of delicious treats, lovingly baked by our talented kinder parents and their children. The rain held off and we had a steady stream of shoppers throughout the day. 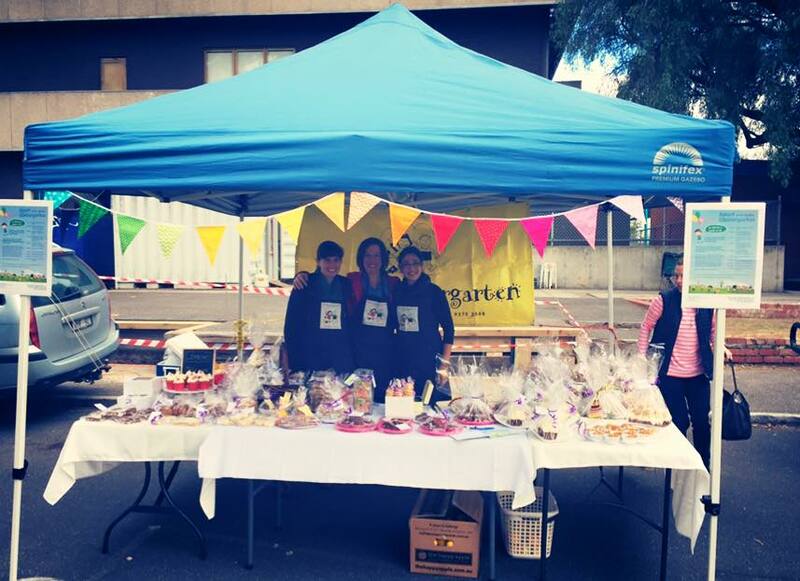 The high calibre of baked goods and their beautiful packaging enabled us to raise $965. Thanks to all the kinder families that visited the stall and bought our yummy treats. A big thank you to all those who baked and a special thank you to those who helped on the stall on the day; Luisa Smith, Melinda Rolfe (and Thomas), Julie-Ann Carbon, Emily Ramage, Monique Damasco, Amelia Moore, Karen Hellwig, Cathie Staunton, Lucy Shaw, Tracey Williamson, Natasha Noonan, Fiona Macri, Daria Butters and Shari. Kinder Raffle Tickets for the annual kinder raffle also went on sale at the cake stall which proved popular and raised a further $140 on the day.